11mm dovetail to 20mm weaver/picatinny. Fitted with a removable arrestor pin to prevent scope creep. Complete with two allen keys. 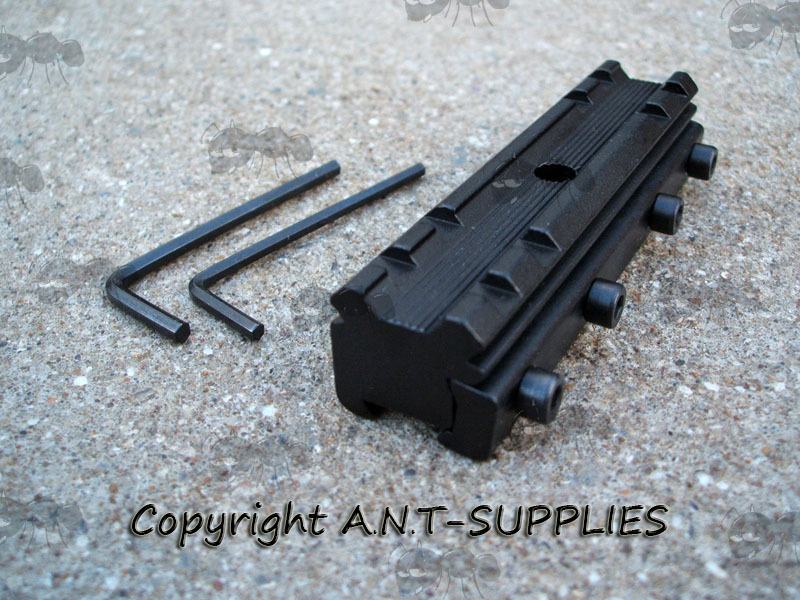 Also available ~ Extended reach dovetail to weaver rail adapter. 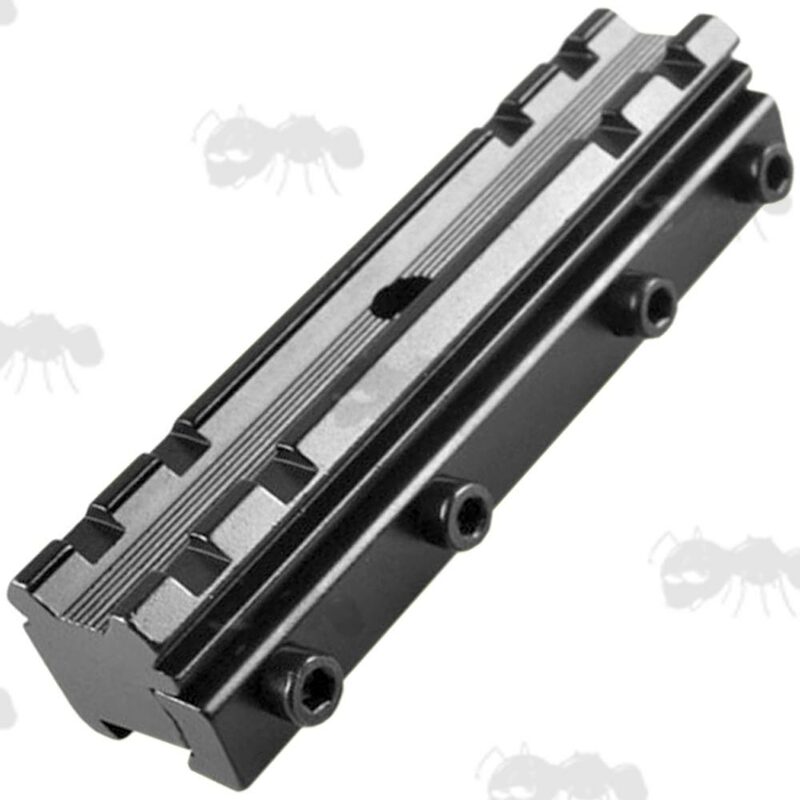 11mm dovetail rail raiser / weaver adaptor block. 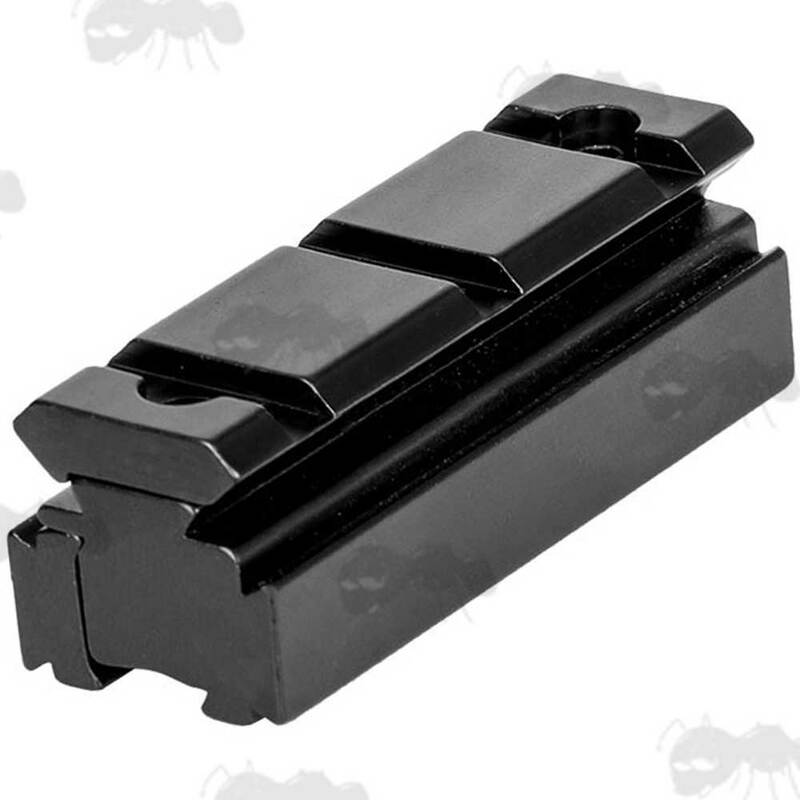 Dovetail rail raiser or adaptor to convert 9.5-11.5mm dovetail rails to a 20mm weaver rail with extra dovetail rails on both sides. 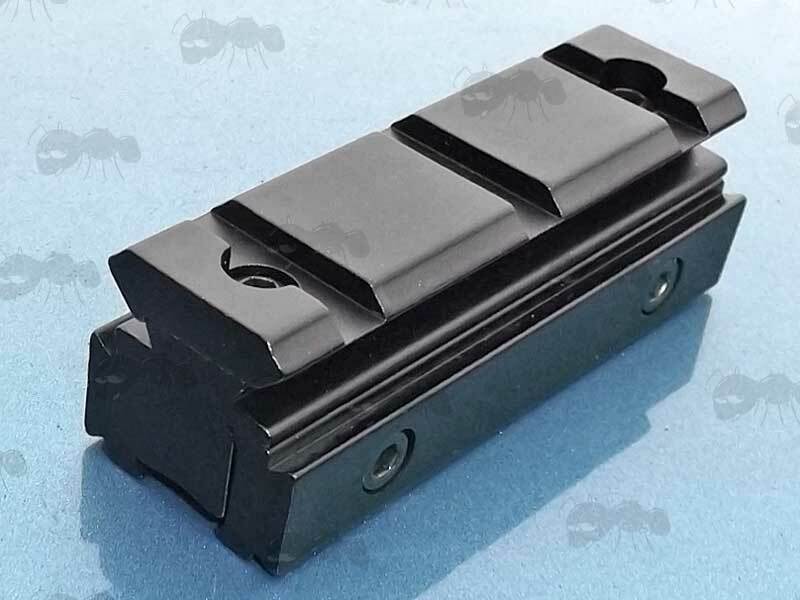 to either convert dovetail to weaver rail, with 20mm elevation or you can remove the top weaver rail plate and fix your mounts to the dovetail rail for 15mm elevation. Complete with fixing allen key.